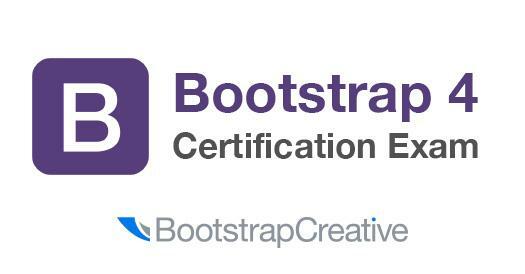 Want to test your knowledge of Bootstrap 4 and responsive design basics? In this 50 question exam, you will be tested on the features of Bootstrap 4. It covers the grid, flexbox, and how to setup a basic layout using components. In addition, you will be tested on responsive web design basics to make sure you understand how Bootstrap 4 applies these fundamentals. How well do you know Bootstrap 4? Are you up for the challenge? What class name would you make a full width container in Bootstrap? If you want to have 3 equal columns in Bootstrap, which class would you use? What was Bootstrap originally named?